The classic strategy game that has had players making and breaking codes for decades. 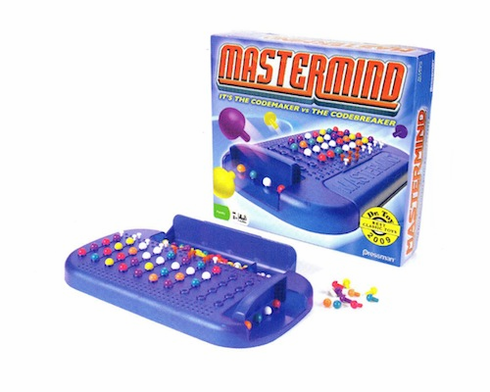 The codemaker sets a code using the color pegs and your mission as the codebreaker is to figure out the code in 10 moves or less. Over 2000 possible code combinations will keep you playing for quite some time. The game console features a built-in storage tray and code sheet. For 2 players.